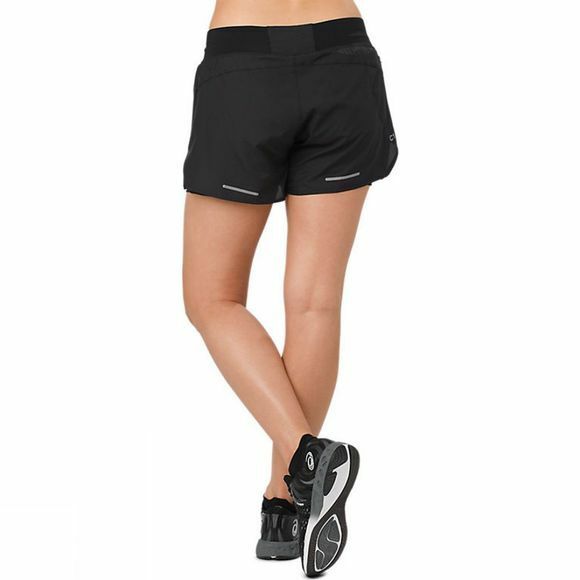 Each stride is effortless in these women’s 2-in-1 running shorts with built-in sprinter. A regular fit and 3.5-inch in seam create a comfortable fit while the soft touch mesh fabric inner sprinter offers support and an inner storage pocket holds all your long run essentials. Engineered ASICS fabric is highly breathable and designed to keep you cool and comfortable as you rack up the kilometers and hit your personal best. A shaped back yoke offers a feminine silhouette while an wide elastic waistband flatters the figure and offers added comfort while reflective bar detailing on the back leg and reflective ASICS spiral logo detail ensure you’ll be seen when your longer runs take you past sunset.